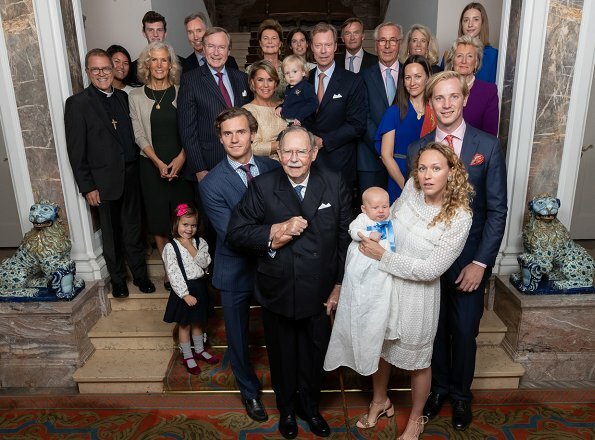 The Grand Ducal Family released two photos of the baptism of Zeno Willms who is the son of Princess Marie-Gabrielle and her husband Antonius. Zeno Willms was born on June 5, 2018 and his full name is Zeno Philippe Leopold Marcus d'Aviano. 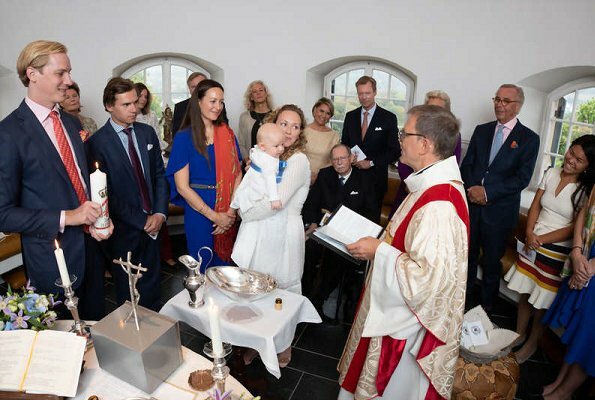 Zeno Willms was baptized at the Chapel of Berg Castle yesterday (Friday) and Prince Carl, Marie-Gabrielle's brother, and Marie-Caroline Gamazo-Hohenlohe, Antonius' sister became the godparents. Members of the Grand Ducal Family, relatives and possibly future family members also attended the baptism. Happy princess Marie Gabrielle and little Zeno.Amalia is the little shining star here. Lovely Baptism. Little Zeno looks very cute. Nice to see the Family together lots of them are missing. But still a Family affair.